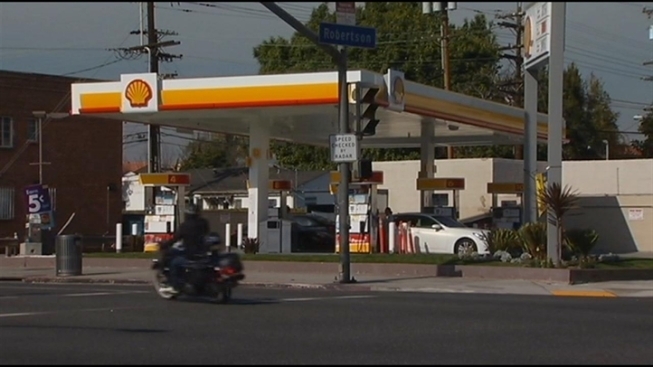 Gas prices, which had fallen for months, have started creeping higher. And experts say, that may be the case for a long time. "The prices of a gallon can go to five, six, seven dollars a gallon and that's scary," said Los Angeles driver Phillip Gabriel. "That puts a crimp on my budget." Consumer Watchdog advocate Jamie Court is not surprised by a new report showing drivers in the Los Angeles area paying 24 percent more than the average national price. "Not only do Californians pay more than they used to, they pay more than the continental United States," noted Court. And he doesn't buy the explanation that unrest in the Middle East is responsible. "Californians are getting ripped off because a very small number of oil companies have kept very low inventories of gasoline," he said. "If you keep the supply short you can jack up the price." Court said the only way prices will turn around anytime soon is if oil refineries step up their production. And in an election year, he doesn't see that happening.